MFTD Waiver Families was formed in October 2011 when the state of Illinois began proposing changes to the program. Initially, the group was made up of a handful of parents of children in the MFTD Waiver, but over time, it grew to encompass about 300 families. Our initial focus was to preserve the MFTD Waiver and prevent proposed changes to the program from occurring. In order to meet that goal, we created a website and Facebook and Twitter pages, and worked relentlessly behind the scenes to generate publicity for our cause. While it took two years, eventually we were able to save the MFTD Waiver and prevent negative changes from occurring. Along the way, we realized that we had a lot in common, and most of us needed a place for both support and assistance. We interact daily through our Facebook group to help support each other. Many of us have met in real life, supporting each other through hospital stays, difficult times, and even the losses of some of our precious children. We continue our dual roles of support and advocacy and hope that you will join us if you, too, are on this same path. Please contact us for more assistance or join our Family Support Group on Facebook. We can help you apply to the program, choose a nursing agency, manage life with home nursing, maximize your benefits, and, most importantly, give you the support you will need through this process. The Medically Fragile and Technology Dependent Waiver (MFTD Waiver) is a home and community based services waiver, also called a 1915(c) waiver. To apply for the waiver, visit our Waiver Applications page. It is a Medicaid program that the federal government has granted to the state of Illinois to prevent costly institutionalization and permanent hospitalization of children who need medical technology. It is called a "waiver" because it waives standard Medicaid rules by evaluating only the child's income when calculating eligibility. Under normal rules, children are eligible for Medicaid while living in an institution/hospital, but not once they return home unless their family qualifies financially for Medicaid. The MFTD Waiver is a federal-state partnership that allows children with medical technology to receive both Medicaid coverage and private duty nursing. Most individuals on this waiver are ventilator-dependent, have tracheostomies, or have central IV lines, and require extensive care and services. Without this waiver, 95% of these children and young adults would require permanent hospitalization to receive their care. The remaining 5% could be cared for in a skilled nursing facility. Children who have private insurance only receive supplemental Medicaid coverage to cover expenses their private insurance does not pay for, while uninsured children can receive full coverage. To learn about benefits, visit our MFTD Benefits page. Children throughout the state are eligible for the waiver as long as they are under 21 when first appyling, meet medical eligibility, require ongoing home nursing, can safely be cared for at home, and the cost of care is less than it would be in a hospital or skilled nursing facility. The average annual cost for hospitalization in a pediatric hospital is $672,000, while the average cost for private duty nursing at home is $139,846 (2016 data). In other words, it is five times cheaper to care for these children at home than in hospitals and institutions. Currently, the capacity of the waiver is 925 individuals, though the state has requested an increase to 1015. The average cost per child in fiscal year 2016 was $139,846 per year. The program is run by Illinois' Department of Healthcare and Family Services, but the day-to-day operations are provided by UIC Specialized Care for Children (DSCC), which is part of the University of Chicago at Illinois. 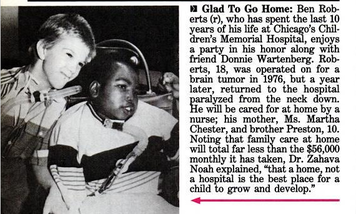 Specialized Care for Children (DSCC) began its home care program in 1979, when the first Illinois child on a ventilator was discharged into the home setting. By 1983, eleven children on ventilators received care through a three year grant from the Division of Maternal and Child Health. This increased to 73 children by 1986, served through a Title XIX waiver administered by DSCC on behalf of the Department of Public Aid and the University of Illinois. In 1994, Illinois continued its program through a 1915(c) waiver serving children who are both medically fragile and technology dependent. "Now, it would cost $1,000 a month for her particular ailment to send her home. Her parents have no way that they can afford that, and the regulations are such that Medicaid now cannot pay for that if she goes home. The alternative is Medicaid continues to pay $6,000 a month to keep her in a hospital, when the doctors say she would receive better treatment and be better off at home. 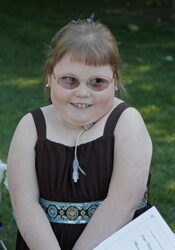 But her parents can't afford to have her taken off Medicaid." Since this time, additional legislation has further supported the right of individuals with disabilities to remain in community settings. The Americans with Disabilities Act, passed in 1990, specifies that individuals must receive services, "in the most integrated setting appropriate." The Supreme Court decision Olmstead vs. L.C. (1999) clarified that people with disabilities should be placed in community settings when appropriate, if this can be accomplished with available resources. It also mandates that states provide community services to any individuals on waiting lists in a reasonably expeditious manner. Finally, as of October 1, 2011, a provision of the Affordable Care Act put into effect the Community First Choice Option, which provides increased support and funding for moving individuals out of institutions and into the community. This legislation is designed to fund the mandate of community care created by the Americans with Disabilities Act and clarified by the Olmstead decision. Originally, TEFRA programs, which are often called Katie Beckett programs, were intended for children with extreme medical complexity and catastrophic medical costs, while HCBS waivers focused on individuals with cognitive impairment or developmental disabilities. Over time, approximately half of the states continued to use TEFRA or TEFRA-like programs for children with medical complexity, while the other half developed new HCBS waivers targeting this population. TEFRA programs, when implemented by the states, are required to serve all children who meet medical eligibility criteria, and only extend regular Medicaid services to this population. HCBS waivers, on the other hand, are not entitlements and can restrict the number of children served, but they may also provide additional services not covered by Medicaid, such as home modification and respite. Currently, almost all states have some type of program for this population, with about 40% of states offering Medicaid through TEFRA, about 60% offering HCBS waivers, and a few offering TEFRA-like or other unique programs.